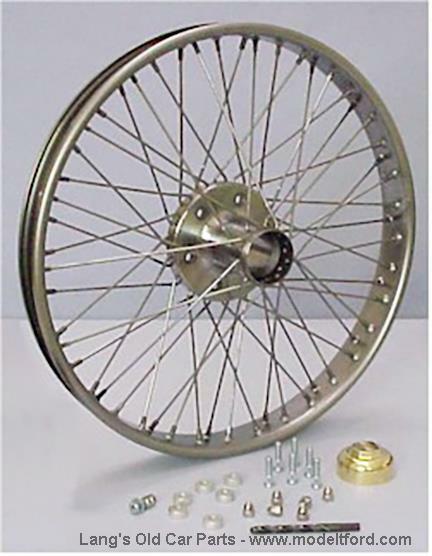 Wire Wheel, 30 X 3-1/2, with clincher rim. 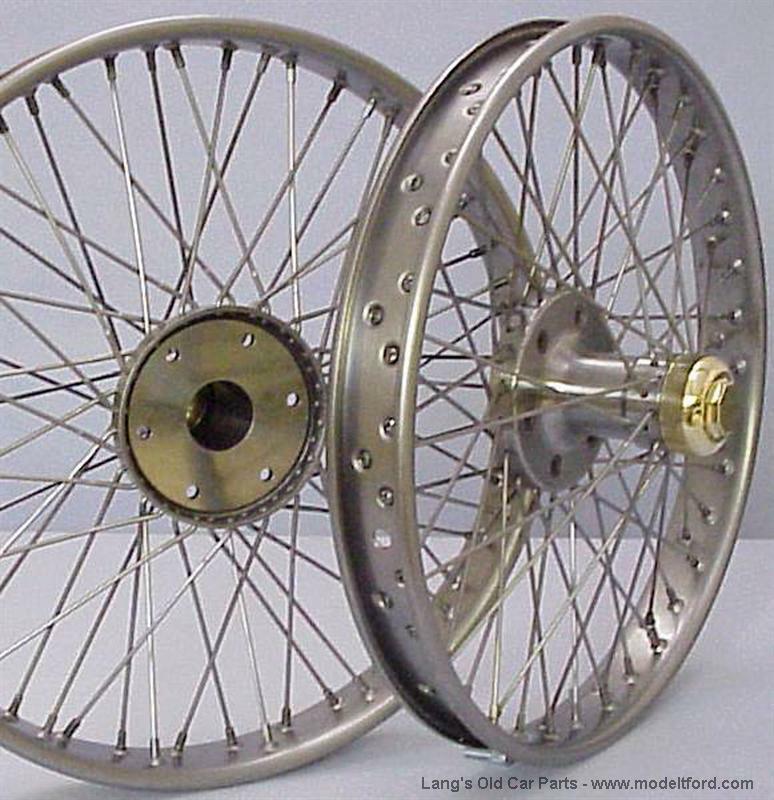 Excellent reproduction of original aftermarket wire wheels. 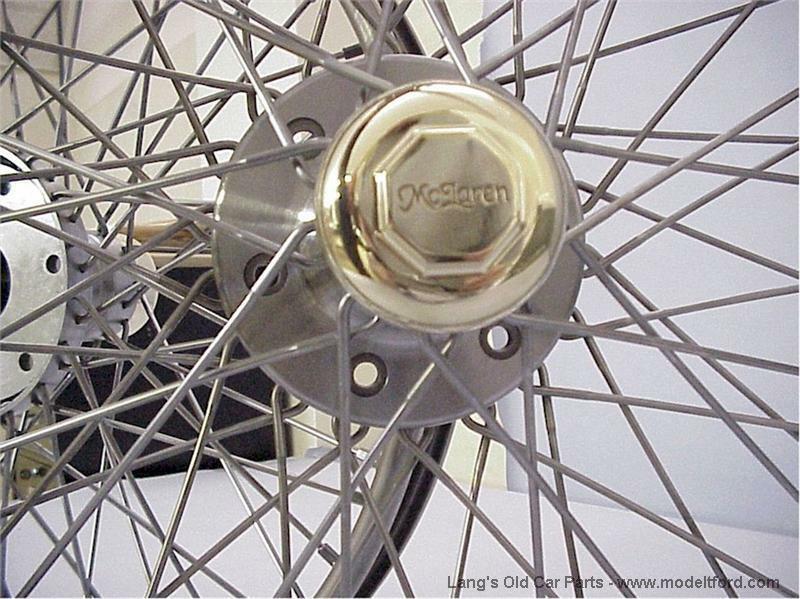 The center of the wheels are machined to a perfect fit on any Ford Model T wood wheel hub. The rims are made of heavy, rolled stock and electrically welded. These wheels require a fifth wire wheel for your spare tire. 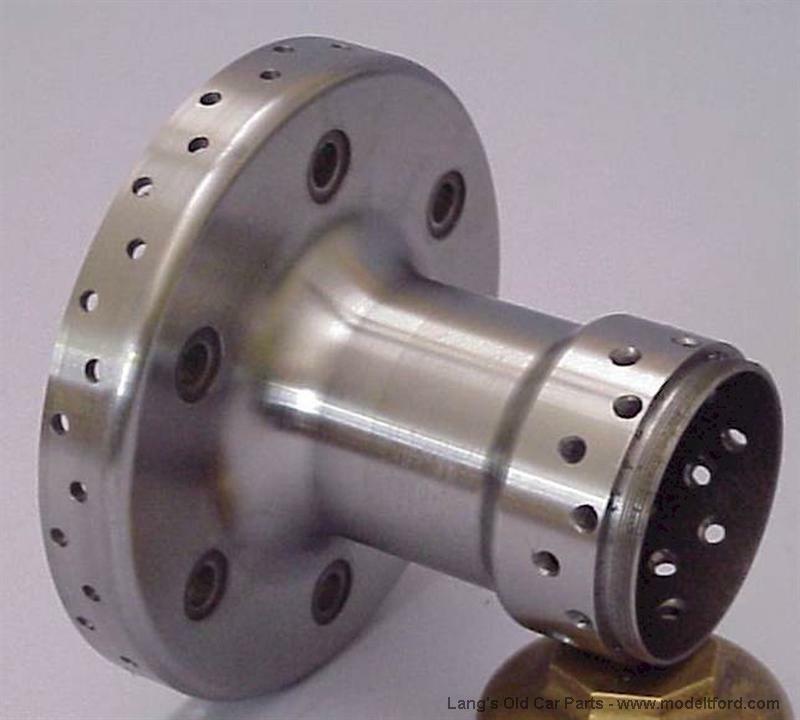 They can easily be changed on the car by unbolting them from the hub.